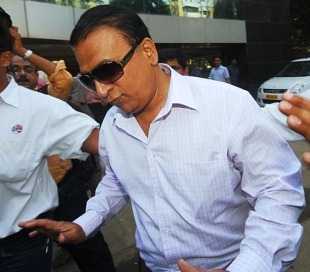 IPL governing council member and former Indian captain, Sunil Gavaskar, has suggested a new formula for player retention which envisages the eight original franchises retaining seven of their existing players provided the franchises are willing to bid up to $2 million for them though the player auction. According to Gavaskar, the teams would be able to nominate the players they wish to retain but all the players would be part of the auction, with a cap of $2 million per player. If the price of a player at the auction reached the $2 million limit, the player's original franchise would have first right of refusal, provided it was one of the bidders. The BCCI empowered a three-man panel comprising Gavaskar, Ravi Shastri and Mansur Ali Khan Pataudi to make recommendations on the structure of the league. Gavaskar said the panel agreed that player retention will hurt Pune and Kochi, the two new franchises, but felt the council should abide by an earlier decision that teams could keep four Indian and three overseas players. The spending limit at the auction would be $8 million, which means the franchises would have to think carefully about players they want to retain. In addition, the total number of players in a squad would be capped at 25, with a restriction on matches a single player can play in order to reduce the risk of burnout. "Since a player could only play 14 matches plus the knockouts, a franchise could play five overseas players in four matches, but not in the knockout stage," Gavaskar said in an email which was sent to the eight captains of the original franchises. The email was not sent to franchise officials or team owners. The details of IPL 2011 have been shrouded in mystery since the suspension of chairman Lalit Modi in April. The franchise owners had met with BCCI president Shashank Manohar and interim IPL chairman Chirayu Amin on June 24 to exchange their views on next year's event, after which Pataudi, Shastri and Gavaskar had one-one-meetings with the franchise owners about player retention, salary caps and squad sizes. At the meeting, eight of the franchises voiced their opposition to player retention, while Mumbai and Chennai were in favour of keeping players. Gavaskar said these proposals were put to the full council at a meeting on June 25, but no decision was taken. The issue will now be brought up again at the next council meeting in August.